Cuphead is one of those games that you’re probably going to either love or hate. I, for example, love the thrill of beating a boss after numerous attempts of figuring out their pattern. The unnerving difficulty is something many are (understandably) not fans of, lamenting the fact that they can’t experience the rest of Cuphead’s charm because of it. And that is a shame, because Cuphead is full of it. And that charm needs physical counterparts, which Studio MDHR might be providing very soon. Replying to what might have otherwise been an entirely random fan tweet, Studio MDHR let slip that they are in fact working on plans to bring Cuphead to the physical world. Not only that, but the studio wants to create two versions for fans to buy – a regular physical version of the game, and a special Collector’s Edition. What that might include is a still something MDHR wants to keep close to their chest. Of course you don’t have to wait on MDHR to get your fix of physical Cuphead goodies. Popular figurine makers Funko have already announced a Vinyl line that they will launch next month for the game. And thank goodness it’s not part of the POP line. 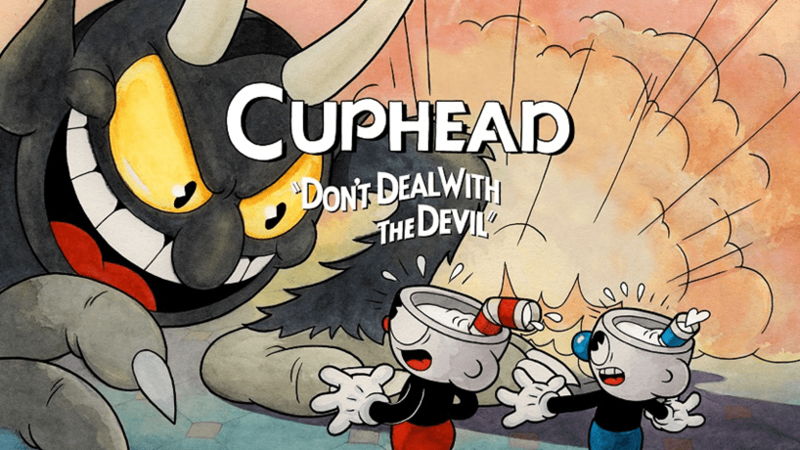 The Vinyl figures of Cuphead, Mugman and the Devil are all recreated with the same style that they’re featured in game with, and should already be up for pre-order by the time you read this. But I do have to wonder what Studio MDHR might be planning for their own run. If it’s anything like Funko’s attempt, I know I’ll be in.